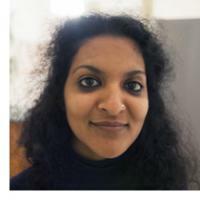 Anvita Jain joined Prague College as Associate Lecturer in the Graphic Design Department in September 2013. She is an artist and graphic designer living and working in Prague, as well as in New Delhi. She has several years of experience in surface design (including her own line of clothing), brand identity and graphic design for fashion, lifestyle and cultural institutions. Anvita works at the intersection of art, craft and design, and has exhibited in India, Europe and the USA. In 2012, she received her MFA in 2D Design from Cranbrook Academy of Art, USA. Previously, she had completed a BA in Visual Communication at BIAD (The Birmingham Institute of Art and Design), UK, and a graduate diploma in Fashion and Technology from NIFT, New Delhi.